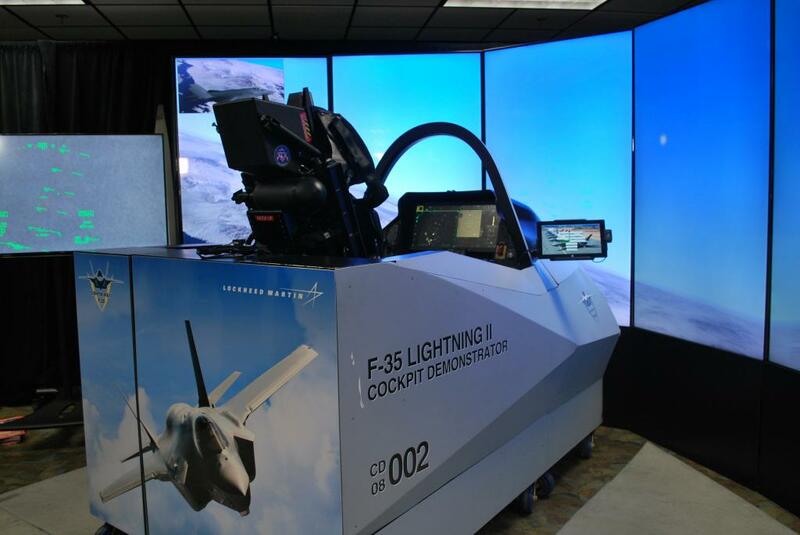 Check out the F35 Cockpit Demonstrator at this exclusive PCDU event! 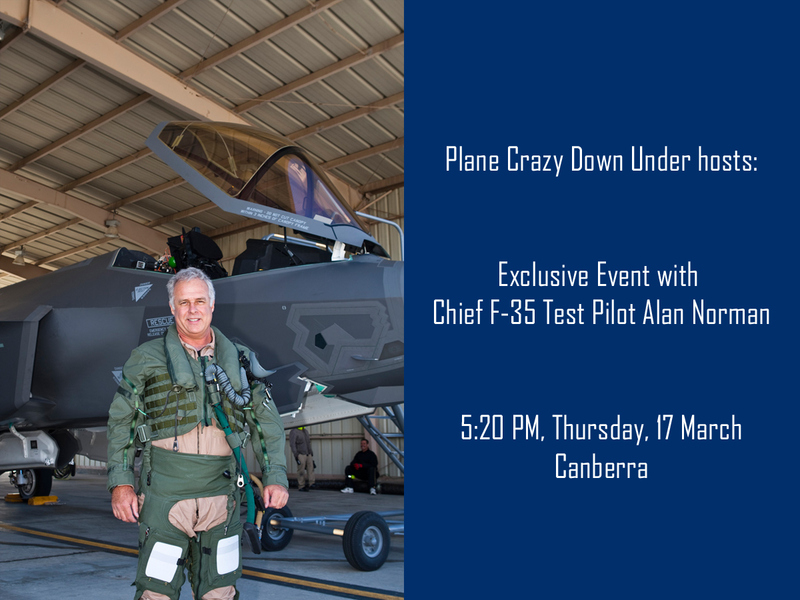 Thanks to the folks at Lockheed Martin, I’m getting the chance to host an F35 Cockpit Demonstrator session on Thursday evening (17th March) while I’m here in Canberra for the Canberra Balloon Spectacular. If you’re in town and interested in coming along, send an email to contact@planecrazydownunder.com to join the fun (first 30 people only). You’re invited to learn more about the unique capabilities of the F-35, the world’s most advanced multi-role fighter aircraft. At this exclusive event, you’ll have an opportunity to ask Al questions, before Al puts Grant through his paces in Lockheed Martin’s F-35 interactive cockpit demonstrator, a visually and audibly interactive simulator that highlights the fighter aircraft’s advanced technology and combat capabilities. This is an exclusive opportunity open only to PCDU followers. Spaces are limited so please send an email to contact@planecrazydownunder.com to secure your spot. We’re looking forward to seeing you there. Prior to assuming his F-35 Chief Test Pilot responsibilities in 2011, Al was a Lockheed Martin Experimental Test Pilot for the F-22 Program for 12 years as well as Lockheed’s Chief Pilot for the TX program. Al has flown more than 6,000 flight hours in over 70 different kinds of aircraft. He was an operational F-4 and F-16 fighter pilot in the USAF in Korea and Germany. He served as an F-16 RTU instructor pilot at MacDill AFB for 5 years and then attended the USAF Test Pilot School in 1994. Subsequently, Al was an F-16 experimental test pilot for the USAF. A big thanks to Lockheed Martin for making this happen. 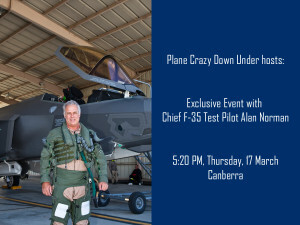 This entry was posted in General Information, Military, Simulator Sessions and tagged Alan Norman, Canberra, Chief Test Pilot, Cockpit Demonstrator, event, exclusive, F35, PCDU. Bookmark the permalink.